Describes the different modules involved in color correction and the relations between them. KolorServer is a KDED module. current 14:47, 10 November 2012 414 × 589 (29 KB) Skelet (Talk | contribs) Describes the different modules involved in color correction and the relations between them. 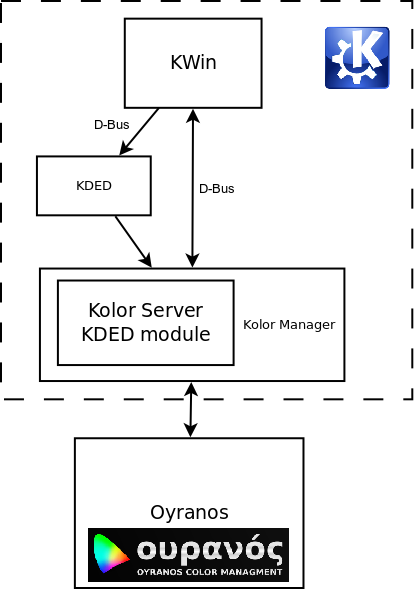 KolorServer is a KDED module. This page was last modified on 10 November 2012, at 14:47. Content is available under Creative Commons License SA 4.0 unless otherwise noted.